As you know, we have many beautiful beach locations throughout Maine (and now New Hampshire). We’ve added a new property in glorious Kennebunk. Join us in welcoming the Beach House Inn. 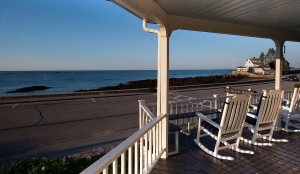 Located directly on the beach, our Kennebunk hotel is one of the oldest oceanfront inns in Maine, blending warm hospitality with the breezy, casual ease of a private, New England coastal cottage. Open April through December, the Beach House Inn has remained faithful to its past while offering all the modern conveniences and luxuries today’s traveler expects.